Our latest project in Roseville was with our customer, Mike. 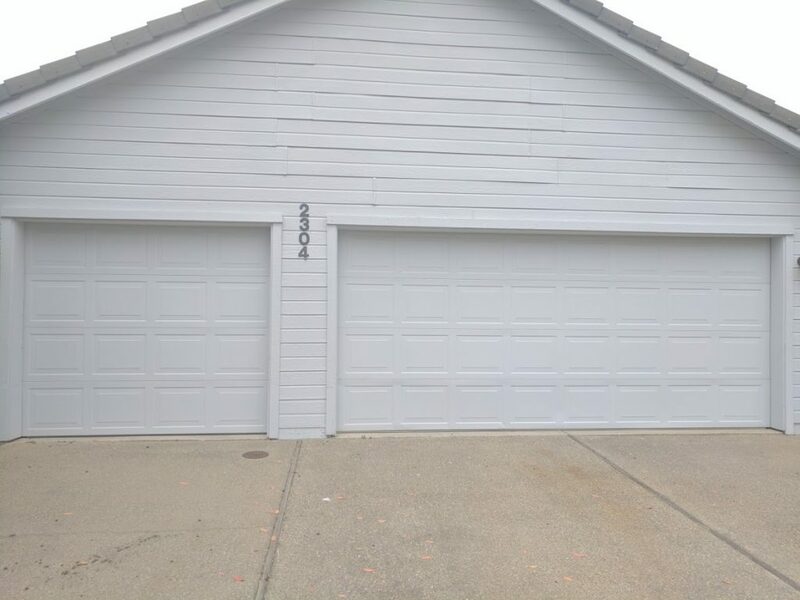 This project is a great example of how you can get a brand new look for your garage door, without the expensive project of buying and installing a brand new door. 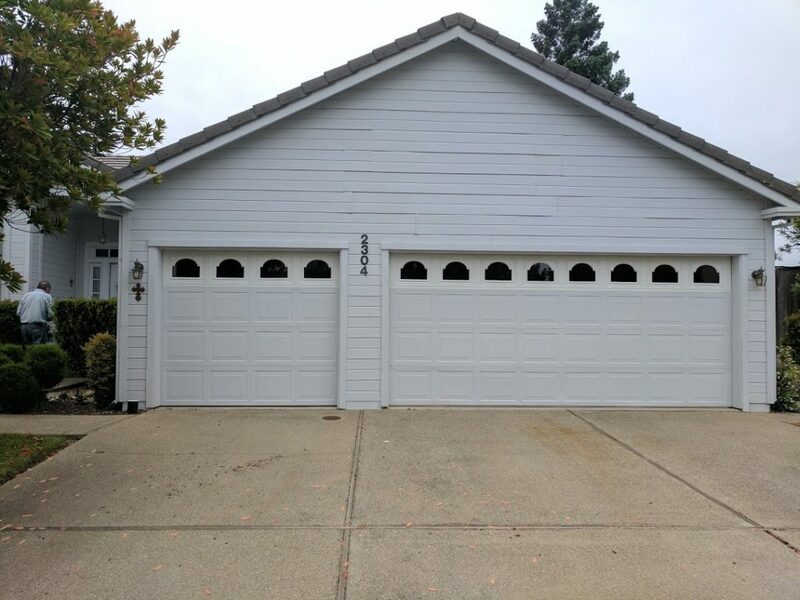 In this case, Mike was getting bored with his plain white garage doors and wanted to update his curb appeal a bit! A few things you can do, just like Mike, is installing new hardware, replacing a panel or panels and new paint! Mike decided that he’d love windows on his garage door. He was hoping that we could find panels with the window design he liked, so instead of getting all new doors, we could just swap out his upper panels. Well lucky for Mike, his garage doors are still being manufactured. This meant we were able to find some panels with a window design he loved. We ordered the panels, and installed them when they came in! They look pretty good, right? Replacing the upper panel saved Mike a ton of money. But the work wasn’t done with the panel swap. Since the windows added extra weight to the door, we switched out his garage door springs . This helps to properly balance and support the weight of the new door. We also installed a new LiftMaster belt drive opener that is quiet and handles the load of his doors properly. The doors open more smoothly as well! Switching out his garage door panels instead of getting a new door saved Mike thousands. And he got the garage door windows he was hoping for! The last step in this makeover was a quick fresh coat of paint so all the panels matched each other and Mike was good to go! 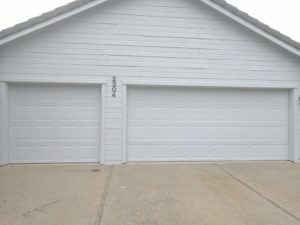 This entry was posted in Blog, Project and tagged curb appeal, garage door panel makeover, panel replacement. Bookmark the permalink.